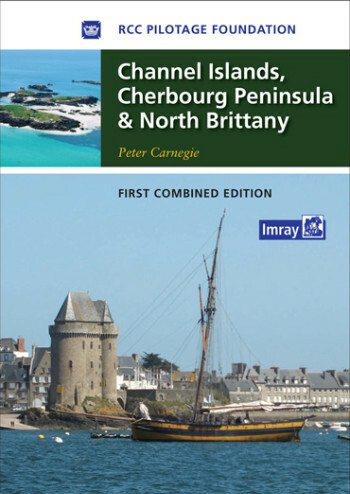 RCC Pilotage Foundation Channel Islands, Cherbourg Peninsula & North Brittany is a comprehensive overview of all the cruising areas within the Channel Islands and the adjacent coast of France. Thousands of yachtsmen visit these areas every year, but the strong tides and currents mean that most keep to the main routes. Rich in local expert knowledge, this book presents the pilotage information in a calm and logical manner with numerous annotated photographs, allows those who wish to exercise their pilotage skills to explore further. RCCPF The Channel Islands provides detailed pilotage information for the popular cruising areas of the French coast from St Vaast to Ouessant , Guernsey, Jersey, Herm, Alderney and Sark, covering key harbours in depth. 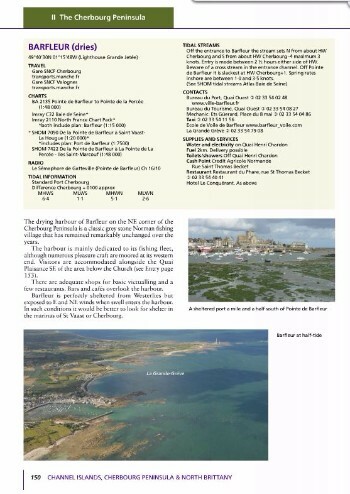 There is also extended coverage of the smaller Islands including the Minquiers, Les Ecréhous, Iles Chausey and Roches Douvres as well as Ile d'Oeussant and Ile de Molene,with colour plans and photographs to highlight the areas of interest and help with passage planning. Sailors of all ages will be rewarded by cruising this area, with fascinating and fast-changing seascapes, bustling historic ports and interesting anchorages away from the tourist bustle. 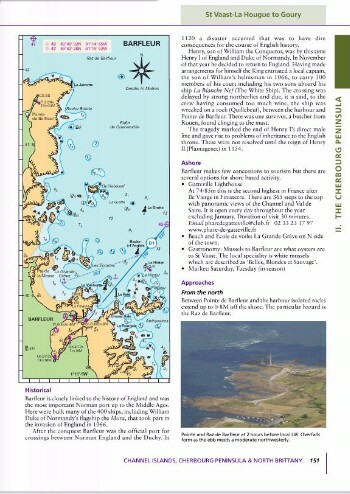 The North Brittany section of this book has a long and distinguished pedigree which extends back to Adlard Coles' original Brittany Harbours and Anchorages written over 40 years ago.The Channel Islands section originates from work by Malcolm Robson which was followed by Nick Heath's major update. Peter Carnegie, with detailed knowledge gained through years of sailing and flying the area – and through much discussion with local experts – has combined the pilotage information for the two areas.